Over the course of 6 hours, a total of 39 tornadoes touched down across portions of Alabama, Georgia, Florida, and South Carolina. The strongest of these was an EF4 tornado that devastated rural communities from Beauregard, Alabama to Talbotton, Georgia, killing 23 people and injuring 97 others. The Sisters of Charity of Nazareth have a long tradition of responding in times of disaster. Historically Sisters have responded to flooding in Louisville, the yellow fever epidemic, monsoons in India, a hurricane in Belize, and an earthquake in Nepal. 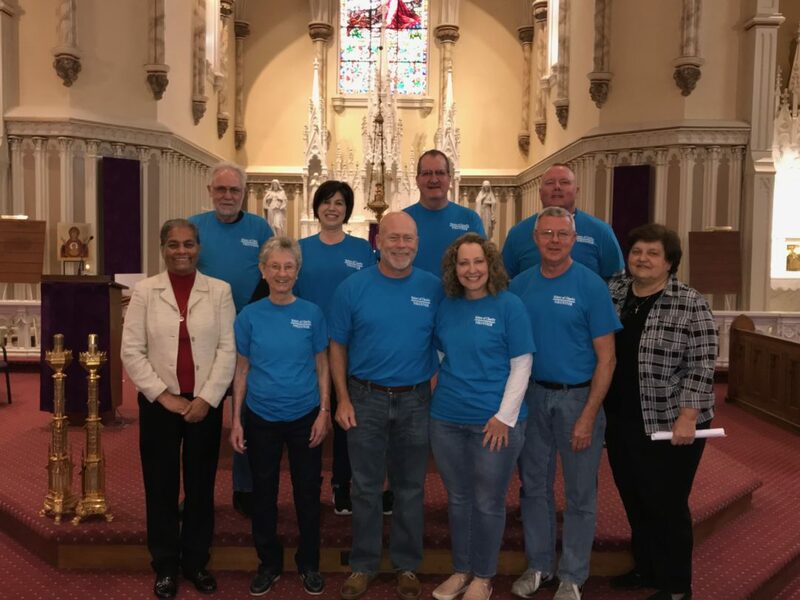 Continuing in this spirit, the SCN disaster relief program has deployed to offer spiritual and physical support. Sisters and volunteers respond in the same spirit of Vincent de Paul with reverence for each person and witness to God’s presence in the midst of adversity. The disaster relief program provides an opportunity to put faith into action. My husband and I had the great pleasure of working side by side with the SCN volunteers here in Lee County, Alabama. It is truly a blessing to work with such a dedicated, hark working and inspired group of people. Thank you CAN for all you have done here in this little corner of Alabama, and through out our World! Thanks for representing SCNs in repairing homes and lives! Your work and love are so needed! My prayers go with you! Wish I could have joined you physically but am with you in spirit. Blessings. It seems like the destruction will never ends. Thanks to all of you who are bringing support and encouragement to those who have lost so much. Please be safe.